Wow… this is just freaking evil. 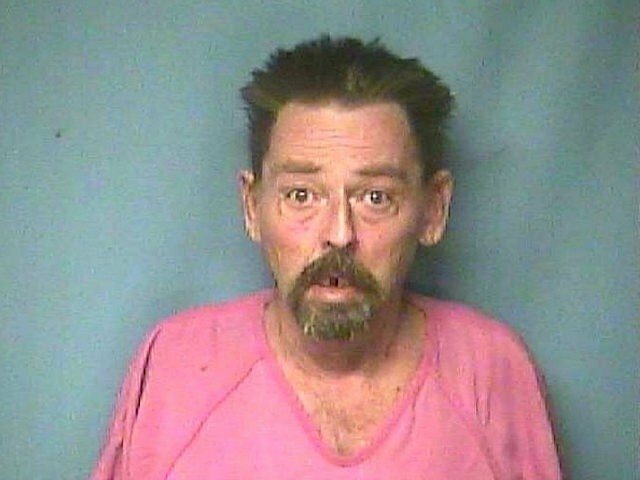 A guy in Arkansas was arrested on suspicion of capital murder. He told police officers that he stabbed his wife to death for changing the television channel. That poor woman. Can you imagine the abuse she suffered until he finally killed her? Over nothing. Tony Thomas, 58, of Carlisle, Arkansas, decided to have a cigarette outside. When he came back in, he noticed the channel had been changed from the football game he had been watching. He asked his wife what the score had been and then he flew into a rage as they argued over the channel change. Not to be too judgmental, but the guy looks like a drug addict. Thomas of course claims that his wife started the argument by yelling at him. So, naturally… he grabbed a butcher knife and stabbed her to death. 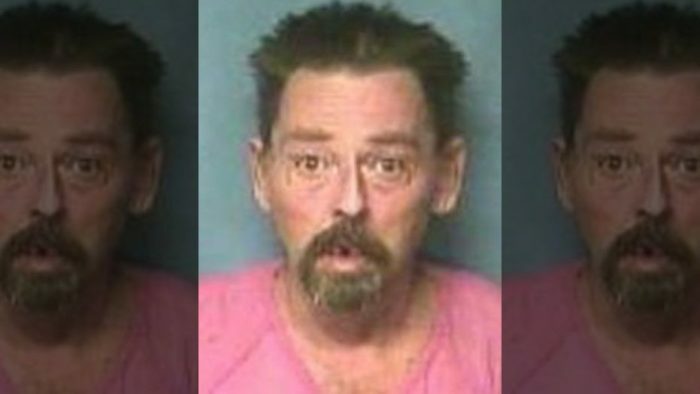 “He claimed he’d blacked out and when he ‘came to,’ he was over her with a knife in his hands,” according to an affidavit from the Lonoke County Sheriff’s Office. Ah, laying the grounds for an insanity plea using the old rage blackout ploy. I highly doubt that will work, but nice try. Police found blood on the floor, walls, a table and the TV. It was everywhere. He must have stabbed her in a frenzy. Court documents reveal that Thomas called the sheriff’s office and requested the dispatcher bring a “meat wagon and police” because he stabbed his wife. A witness heard glass break and then saw him stabbing Elke, his now-deceased wife, when she walked into the living room. Deputies stated they found Elke’s body that was covered in a blanket and tarp in the couple’s backyard and there was a knife near the body. “He admitted to dragging her outside and calling the sheriff’s office,” Anthony Counts, a detective with the Lonoke County Sheriff’s Office, wrote in the affidavit. That’s just cold. The witness ran outside and flagged someone down, asking them to call police. Chuck Graham, the Lonoke County prosecuting attorney, says that Thomas will be charged as a habitual offender because of his rap sheet of felony crimes. What a swell guy. He’s being held on a $1 million bond in the Lonoke County jail. He won’t be going anywhere by the looks of things. It’s unknown if he has retained an attorney yet, but I doubt it. He’ll go the public defender route. Good luck with that. Thomas is scheduled to appear in court on January 22. Arkansas has the death penalty… the grim reaper cometh. Hopefully it will be soon.